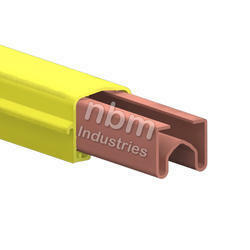 We are offering DSL Busbar System. 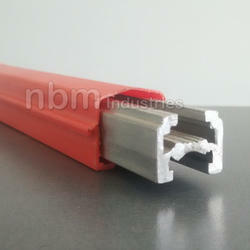 We are the leading manufacturer of DSL Shrouded Bus Bar System. Our DSL system designed to Match International standards. It ensures uninterrupted power supply. They are suitable for straight/curved sections. economical and low maintenance way to solve mobile electrification requirement. Systems can be designed to accommodate 60 to 1500 amperes. One or more feed points at any position possible. The Conductors can be cut, bent, assembled at site for all type of installations and designed for expansion and contraction. • It is color coded Red, Yellow, Blue, Green. • It is Compact, Occupies less space for installation. • No sparking issues. Our spring loaded current collectors provide pressurized electrical contact. We are the leading manufacturer of EOT Crane DSL Line. Our DSL system designed to Match International standards. It ensures uninterrupted power supply. They are suitable for straight/curved sections. economical and low maintenance way to solve mobile electrification requirement. Systems can be designed to accommodate 60 to 1500 amperes. One or more feed points at any position possible. The Conductors can be cut, bent, assembled at site for all type of installations and designed for expansion and contraction.